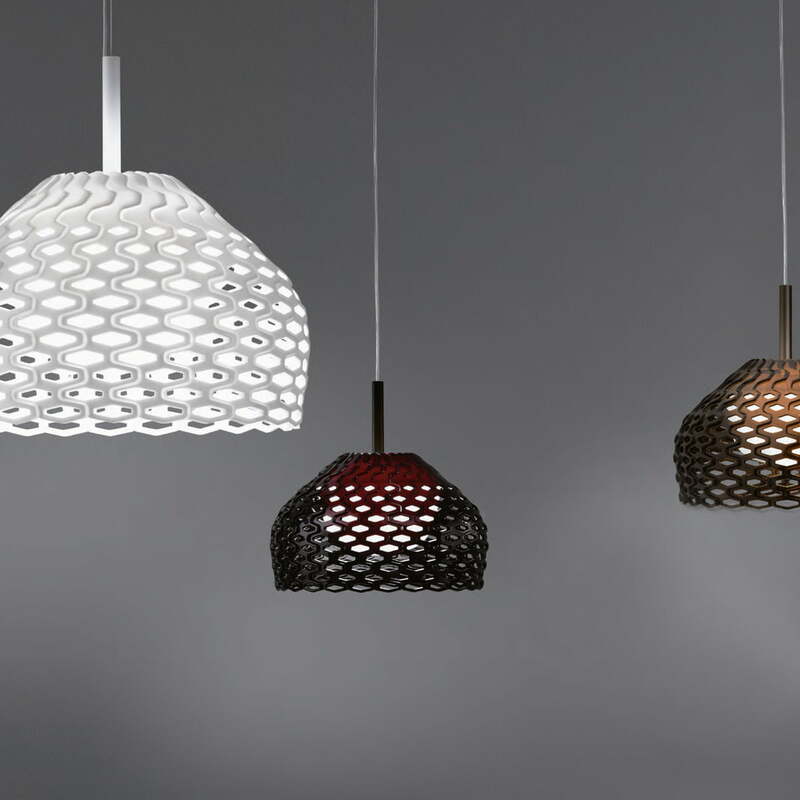 Tatou is a pendant lamp made by Flos, whose classic lampshade surprises being accompanied by an unusual structure. The designer Patricia Urquiola explained: ”The process started when we tried to reconstruct membranes looking like traditional Japanese armaments. The overlapping, geometric structure and the handicraft expression have a strongly emotional component. 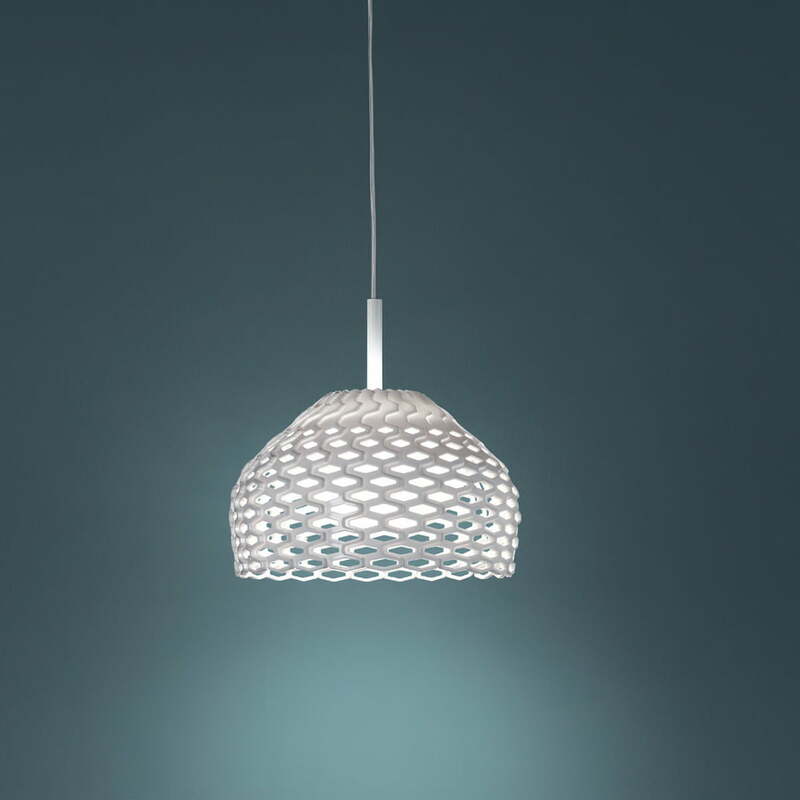 The construction reminds me of an armadillo.” That’s the reason why Flos chose the name Tatou, which means armadillo in English for the lamp with the unusual structure. The light of Flos’ Tatou mostly shines downwards, where it suits to illuminate dining tables and other central places of the home. 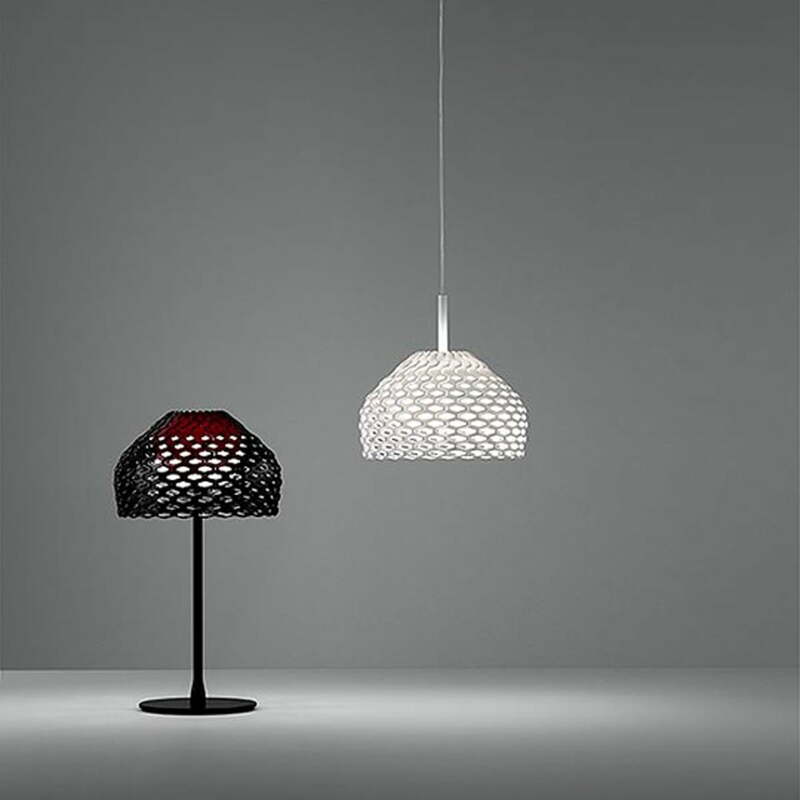 The lampshade also spreads a little diffuse light, which effectively emphasizes the silhouette and structure of the lamp. Despite of the gaps in the shade, the light is glare-free, since inside of the Tatou there is an opal diffuser out of plastic.